Register at StaffCounter.net with your e-mail address. You’ll receive a e-mail to confirm your registration. Open the e-mail and click on the link to confirm your registration. By default, every new user receives a Standard account for 90 days free. 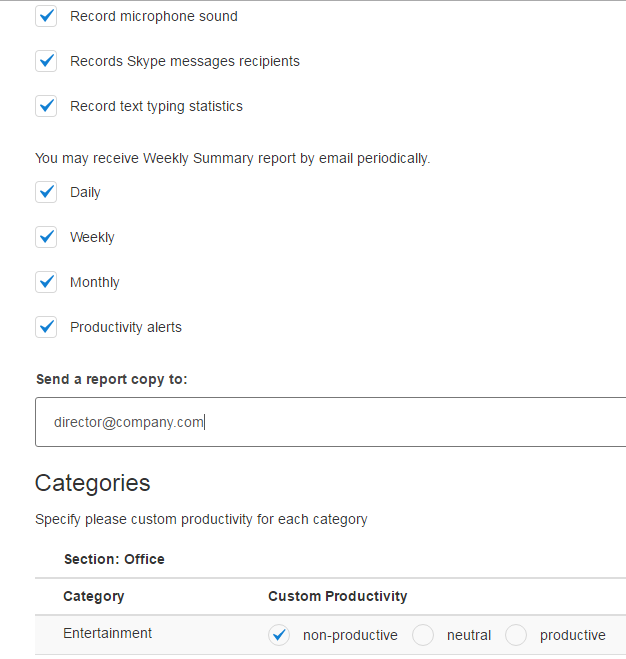 Specify the e-mail address where you want to receive Summary Reports (daily, weekly, monthly, or more than one of these). The option Automatical alerts allows StaffCounter to automatically determine violations in the workplace. Also, on second tab you can specify the time at which your business’s working day begins and ends. 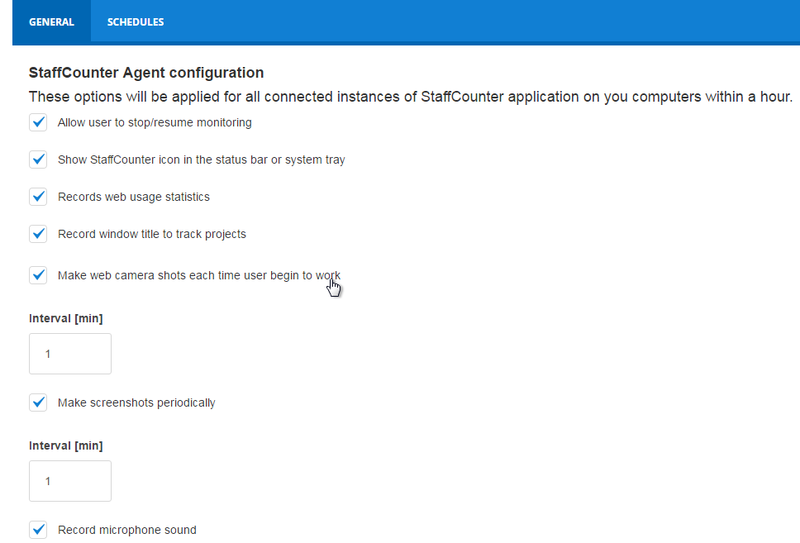 Now you can install StaffCounter Agent on the target computers and mobile phones. On the target computer or phone go to the Download page and download the corresponding application version. After using StaffCounter for several days, you should instruct it how to determine the productivity of the applications and websites that your employees use. For your convenience, StaffCounter offers the ability to divide programs and services into different categories, such as Office applications, Games, Communication, Business, Education, and News. For each category you can determine whether it is productive for your business, neutral, or an unproductive use of time. After this, you can associate any program or visited website with one of these categories. 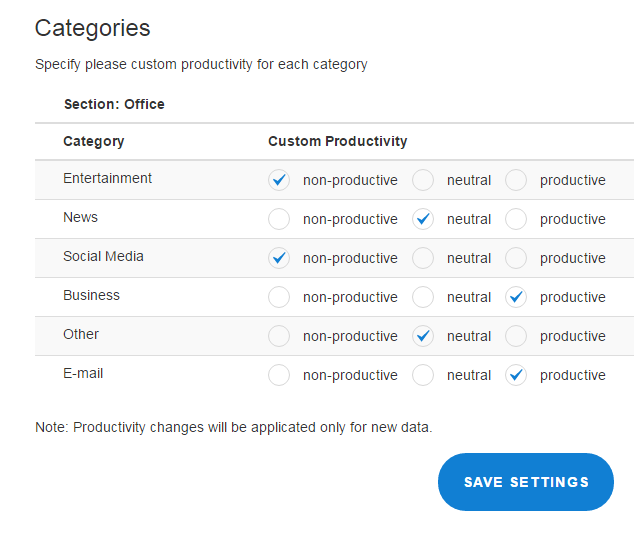 To begin, open the Settings page and set the overall productivity value for each category. In the page of menu Reports – > Reports by time, specify the category for each program or website.